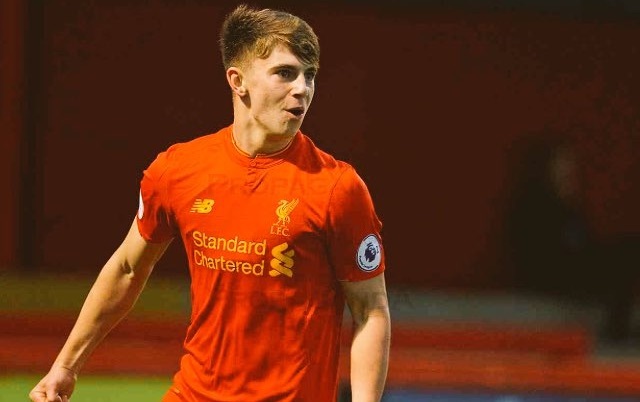 Ben Woodburn, a star in the making! Remember the name is a phrase that is no longer needed when discussing the Liverpool’s U23 star. Every Liverpool fan will undoubtedly know who Ben Woodburn is by now after the youngster’s incredible start to the season. Many supporters are already tipping him for a place in the first-team squad after his impressive display against Tottenham last night. He scored a goal, registered two assists and was, bar Cameron Brannagan, the best player on the pitch. Liverpool won 6-2, with Brannagan scoring a brace, Trent Alexander-Arnold, Brooks Lennon, Harry Wilson and Woodburn finding the back of the net. Twitter went wild for Liverpool’s teenage sensation: It’s frightening how good Ben Woodburn could become under Klopp’s guidance. For now, his place is the Under-23s. This is where he’ll best develop. Remember, the kid’s still at school. @BenWoodburn You are the future of Liverpool football club mate!! Ben Woodburn is by far our best Academy prospect. Scoring goals for fun and is just 16 years old!! !